Today, it is not always easy to find a DVD player to play your movie collection. Modern laptops no longer include a burner in the configuration. Even if you have an old notebook, it’s too inconvenient to always take a number of DVDs with you to watch videos. So it will be better to convert your DVDs to a more comfortable format to watch them on any mobile device. To do this, you can use many free solutions like online services (for small files only) or software. For Windows PC and laptops, you can go for Freemake Video Converter. Below, we’ll see how you can easily rip DVD videos for smartphones and other mobile devices. I chose this program because it is easy to use, and besides it offers an integrated editor and numerous output options. It means that Freemake Video Converter allows you to save your DVDs in various popular video formats like AVI, MKV, MPEG, and MP4. I advise you to choose the latter. MP4 is an extension supported by most modern smartphones and tablets. If you have Apple, Android or Windows Phone device, it is likely to support MP4 videos. Here is the simple guide to convert DVD video to MP4 in just a few clicks. The first thing to do is to download and start the Freemake program for Windows. You can get the installation file on the official website. There are two versions of it: an online one and an offline installer for computers not connected to the Internet. Choose the one you need, download and install the tool. Click the “+ DVD” button to add your movies from DVD. If necessary, you can double-click each file to see a preview. You can also add videos from the VIDEO_TS folder if you have it on your PC. Remember that your DVDs should not be protected or corrupted. The software doesn’t break the protection. In case your DVD has several audio or subtitles tracks, select the necessary ones. You can choose one audio and one subtitles track. Alternatively, you may add a custom subtitles track in SRT format. Select the correct output format. For MP4, click on the green “to MP4” button. Choose the ready settings profile from the drop-down menu. You can also click on the “Settings” icon and set the video codec, bit rate, frame rate, sample rate, and audio channel manually. This way you will have an output file optimized for your gadget. If you know the exact model of your device, you can select a corresponding button. For example, for Android Samsung Galaxy S8, you can select “to Android” button and then “Galaxy S8” from the drop-down preset menu. 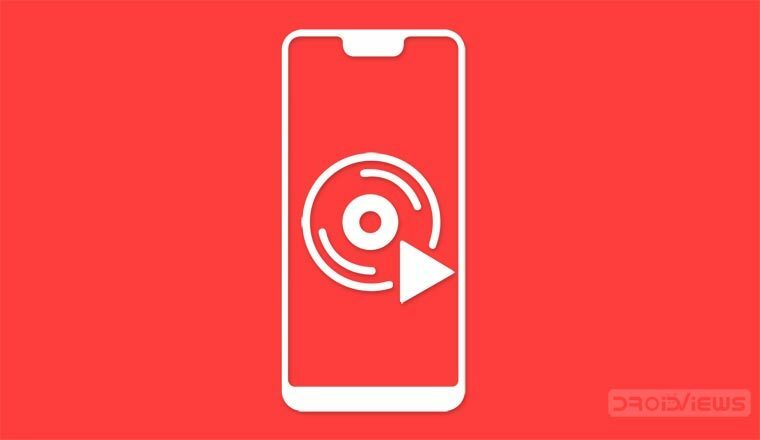 You can edit video with Freemake before ripping them or right on your phone with this app. When ready, click “Convert” to start encoding and rip your DVD for mobiles. After encoding from DVD to the chosen video format, open the folder with the ready file. Next, try playing the video with your favorite video player on a computer. If all goes well, connect your smartphone or tablet to your PC to transfer the video to your gadget. You can also transfer new files to an external USB hard drive or flash drive to connect it to your notebook when you need it. We believe this little guide has helped you convert your movies and watch DVDs on your mobile devices. If you have encountered any problems, let us know in the comments!